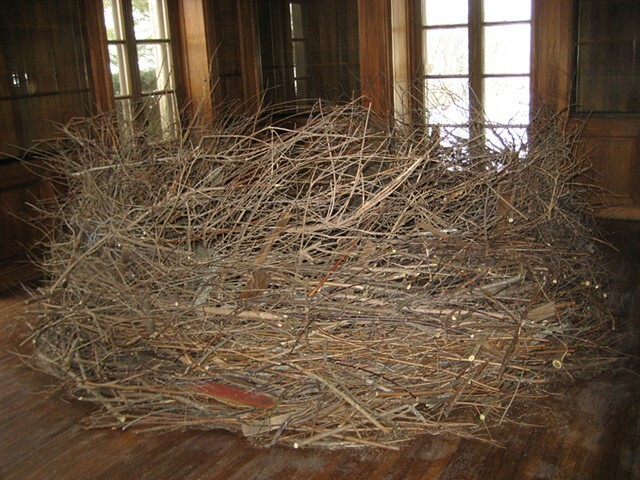 Nest is constructed of branches cut and or gathered from the artist's property. Debris from the tornado includes barn boards, asphalt shingles and miscellaneous objects discovered during clean-up. Yarn and other fibers were contributed by fellow artists and woven into the structure.